The carcass is the lower structure of the tyre. It is the basis to which the profile strips are applied. Carcasses are a valuable raw material and the preparation thereof when retreading is an important factor in sustainable scrap tyre recycling. During retreading, up to 70 % of the energy can be saved that is required for the production of a new tyre. The rest of the profile strip is “peeled off” and a new one is applied. 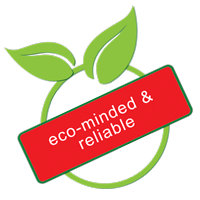 Tyres which cannot be retreaded are taken for thermal recycling, i.e. they are used as fuel in industry. Particularly cement works often fall back on scrap tyres, since they have an extremely high calorific value and sulphur content. The non-combustible parts of the scrap tyre oxidise completely during combustion. The requirement in the recycling companies, i.e. particularly in cement works and granulating companies, has long since been covered and capacities exhausted, meaning that the tyres and carcasses are often stored for long periods. Not every carcass is the same. In order to determine the right recycling method for each individual tyre, they must be thoroughly checked. A knowledgeable examination is required, which our employees have acquired during their years of dealing with the material. They check the carcasses, sort them and ensure that they reach the right destination. In this way, KURZ Karkassenhandel makes its contribution to sustainable scrap tyre disposal.